The Union Cemetery was established in 1864 and was governed by an independent Cemetery Board made up of citizens of the Village from 1864 to 2005. 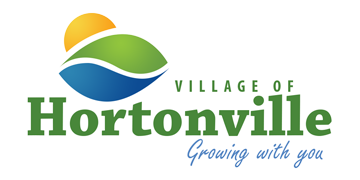 On April 24, 2005 the Village of Hortonville officially assumed ownership and operation of the cemetery. 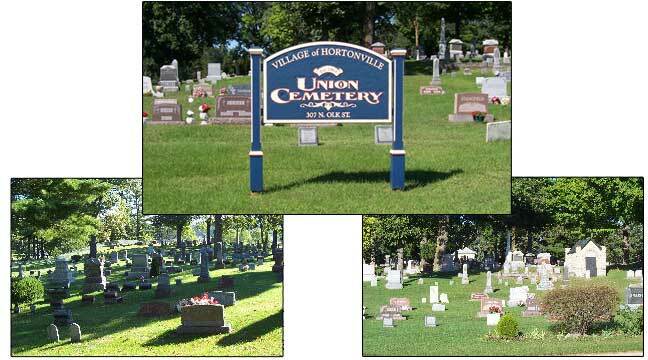 Union Cemetery, located in proximity to the Commercial Club and Grand View Golf Course, now comprises a total of approximately 9.15 acres as an additional 0.33 acres was purchased in 2007. RULES/REGULATIONS/POLICIES governing such areas as purchase and ownership of interment rights, transfer and assignment of interment rights, perpetual care, governing ordinances, restricted activities, landscaping, interments, cremains, disinterments, monuments and markers and rights as well as an applicable fee structure were officially adopted by the governing Board of Trustees in September 2005.